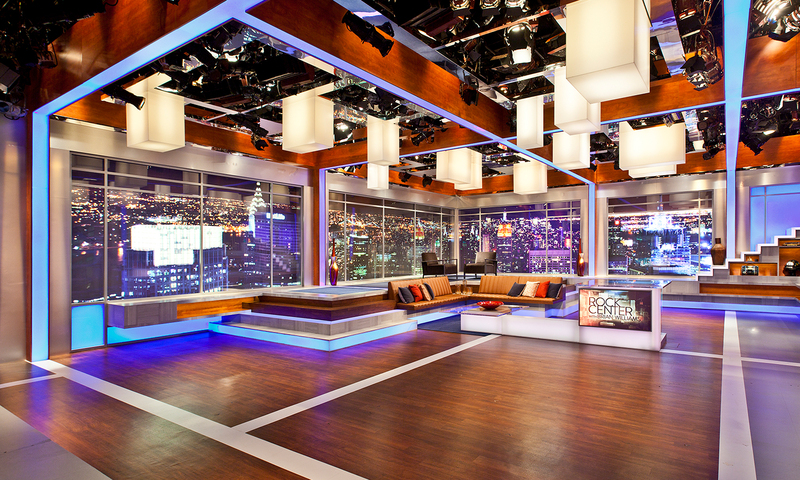 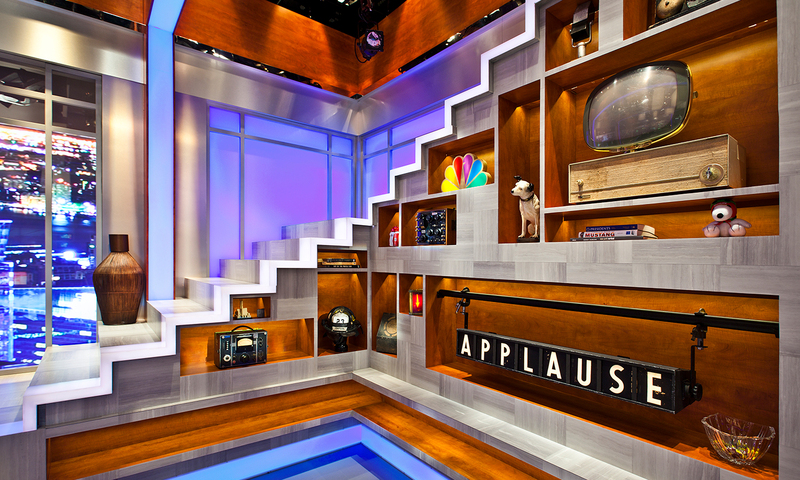 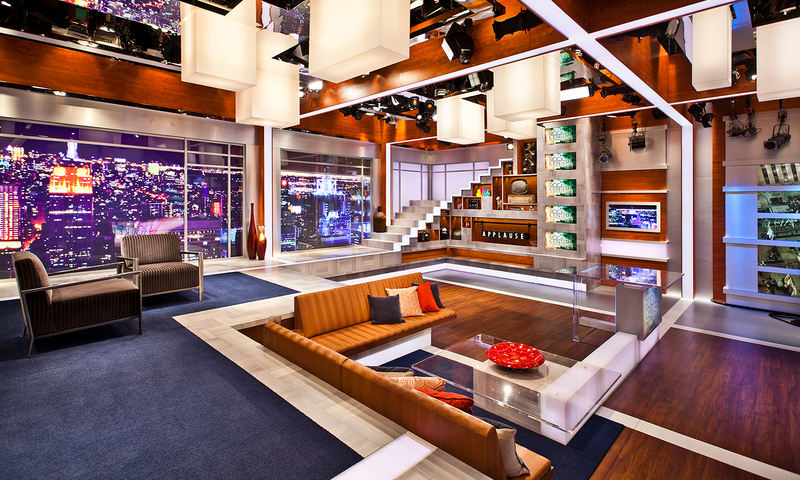 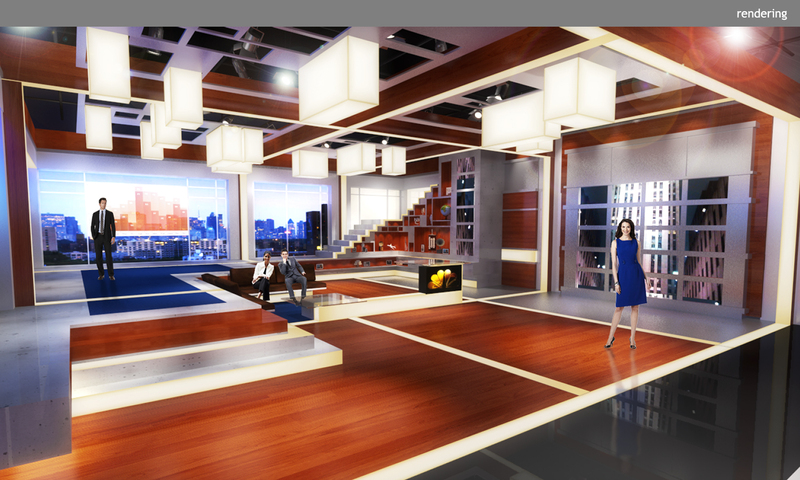 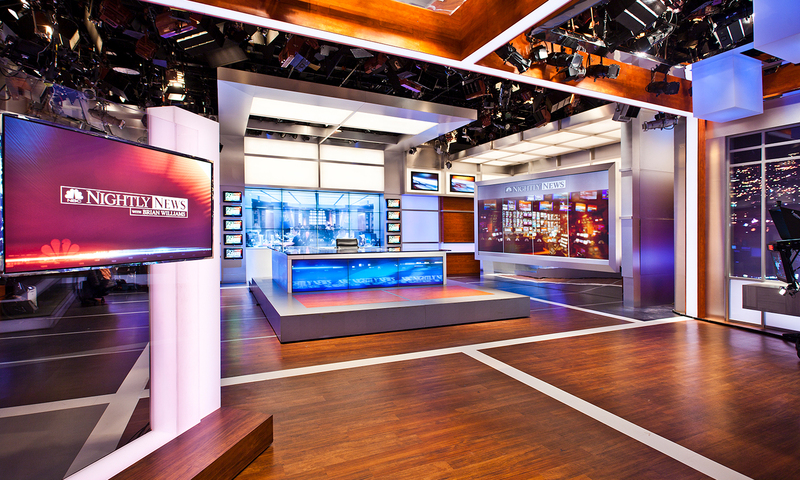 NBC’s Studio 3B serves as home to two distinct broadcast genres: hard news and a magazine format. 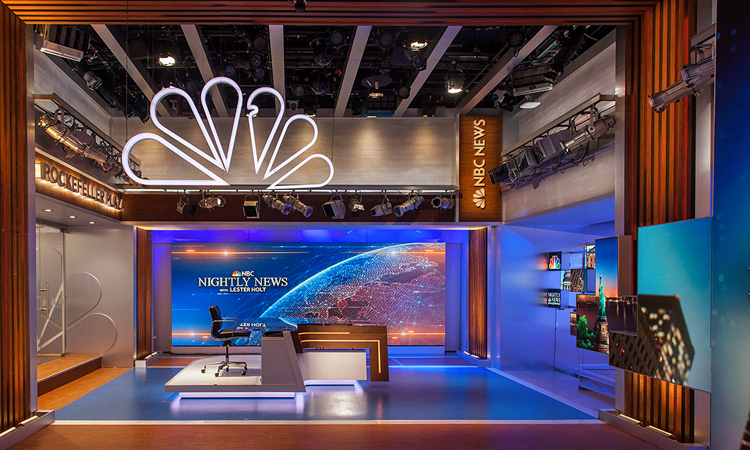 NBC Nightly News, the highest-rated broadcast news program in the US, is an evolution of the show’s previous set, offering a greater variety of camera shots and incorporating the latest technology. 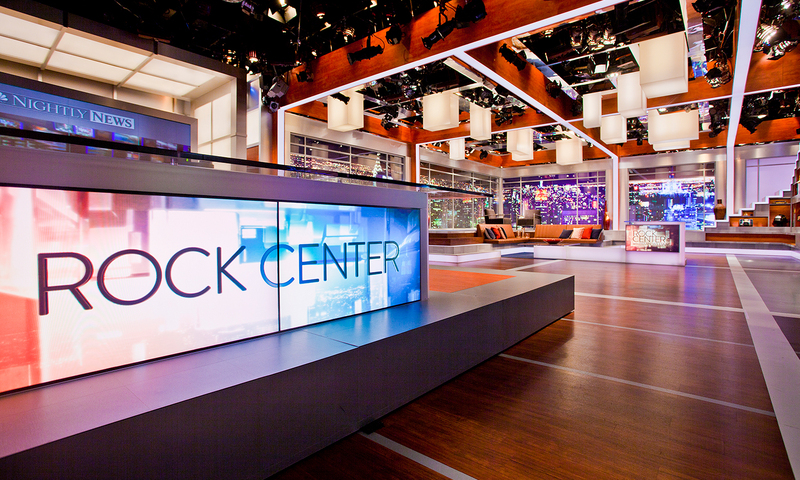 Rock Center, anchored at the opposite end of the studio, exudes a slightly more informal atmosphere with expansive projected views of the city and an inviting seating area.